My name is Boone Shepard. This is the end of my story. Someone is murdering journalists, and Boone and Promethia have only two days to investigate before the killer strikes again. But their friendship is put to the test as the investigation uncovers ghosts from the past and secrets that should have stayed buried. Are they on the right track, or is there something much bigger going on? Boone must face his past once and for all if he has any hope of putting things right. In a thrilling conclusion to the Boone Shepard trilogy, The Silhouette and the Sacrifice is an action-packed farewell to the characters readers around the world have come to love. 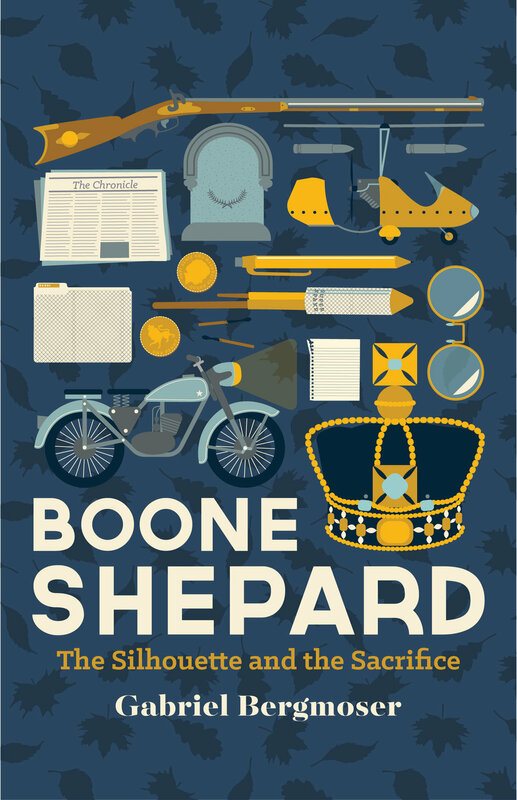 Boone Shepard: The Silhouette and the Sacrifice by Gabriel Bergmoser is the final in the series of three young adult novels following the adventures of an Australian expat, errant journalist and accidental hero. Gabriel Bergmoser has a wealth of performed plays to his name and was a regular panellist on the podcast Movie Maintenance. In 2015 he won the Sir Peter Ustinov Television Scriptwriting Award. He was born in New Zealand in 1991 and now lives in Melbourne, where he spends his time writing and not doing much else. His two favourite things are dinosaurs and Bruce Springsteen. Boone Shepard first appeared in a whimsical mystery novel when Gabriel was sixteen and never left.